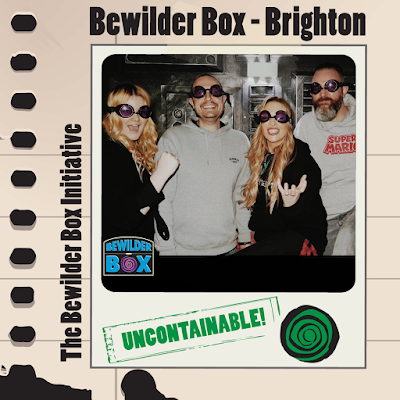 Bewilder Box Initiative is an escape room based above the Hobgoblin pub in Brighton. It’s fair to say we usually approach pub based escape rooms with an air of caution as these tend to offer shoehorned generic puzzles, often displacing the highly immersive sets found within the walls of purpose-built escape venues. We are new recruits, tasked with completing the Bewilder Box assessment and locating the missing Dr Wilder Sr. Do we have what it takes to answer the unfathomable challenge with a hearty laugh and a self-assumed thumbs up? Can we complete the various tasks, challenges and brain tickling puzzles before the time limit expires? Will we uncover the secret of Dr Wilder Sr’s mysterious disappearance back in 1989? As we entered the room with relatively low expectations, we were pleasantly surprised by the sizeable space that greeted us. Tamer in decoration compared to some other venues but acceptably so, given that the scant plot portrayed us as test subjects held within a nondescript location. We found an array of pleasing puzzles styles here, offered simultaneously that keep our team of four separately busy. 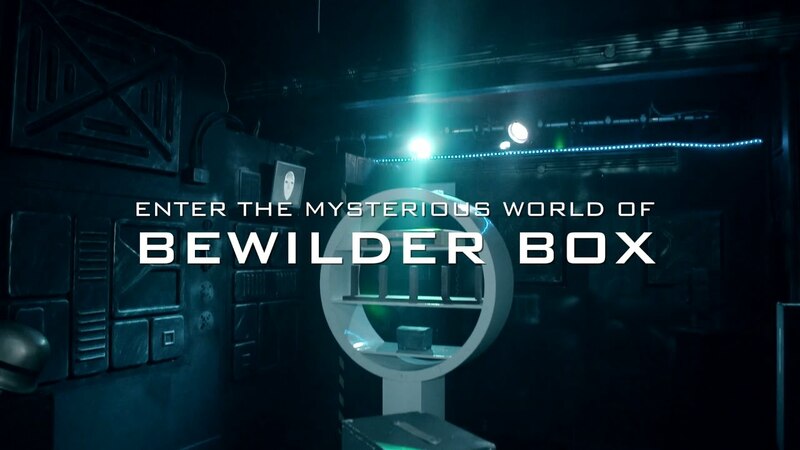 The majority of tasks offered were predominately a collection of stand-alone puzzles not overtly linked to its overall theme but Bewilder Box gets away with this set-up with it suitably fitting the test subject narrative. This also naturally allows the ability to offer a plentiful array of stronger puzzles. Some rooms offering a tighter story line and theme can inadvertently hamper its puzzle creativity, leading to more 'generic filler puzzles' - and that certainly wasn't the case here. Our main gripe was that some of the puzzles were well-worn and overdue much needed preservation. One being particularly fiddly to resolve due to its tired mechanics that evidently needs much vital maintenance. One highlight however was the inclusion of a notorious puzzle style that's often thought as a nuisance within any escape space. Bewilder Box delivered it in such a way that it worked without the usual temperamental issues commonly associate with it. We were suitably impressed with its successful function, having initially felt disheartened upon recognising its inclusion in the room. Another positive was the sub-missions that provide you with knowledge of your progress within the game. The quirky screen based clue system was another effective addition that further supported the rooms premise. Overall we were pleasantly surprised by our robust escape room experience above the Hobgoblin. With its impressive mechanical finale elevating it from the generic landlord moneymaker we assumed it would be. So have we changed our mind about pub based escape rooms? Well, the Bewilder Box Initiative certainly passed our test!